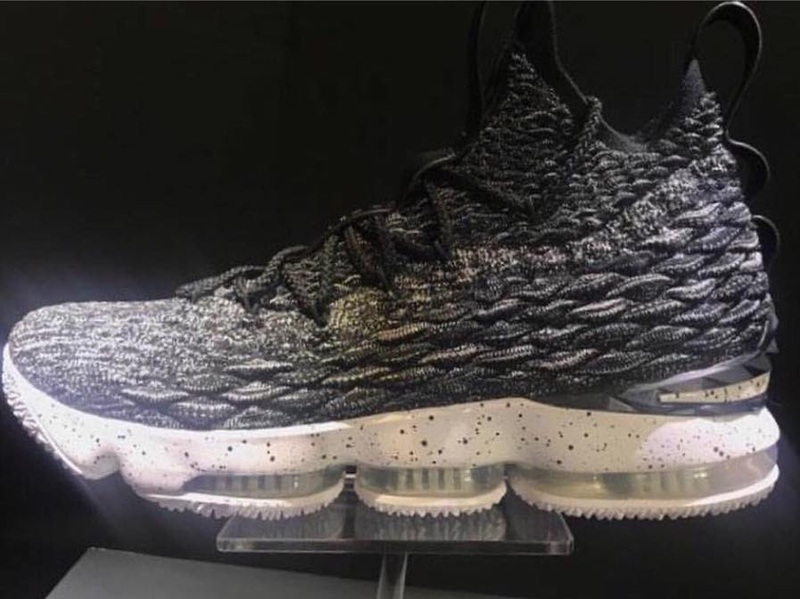 Here’s out first look at Nike LeBron 15. 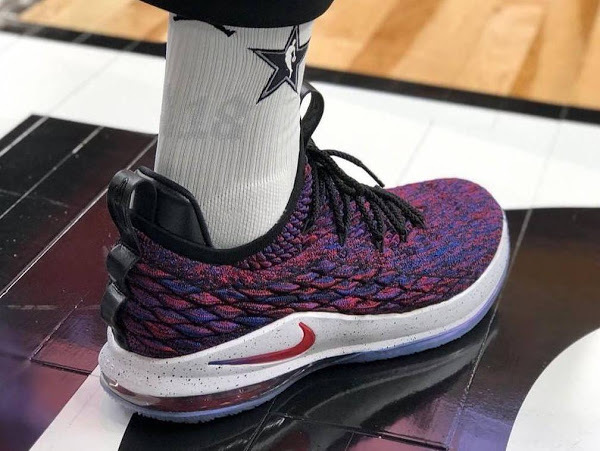 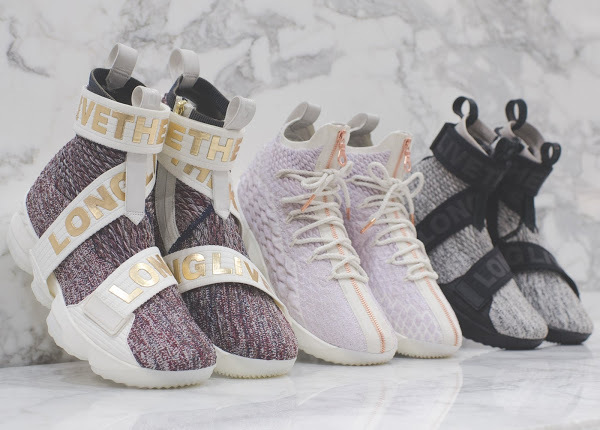 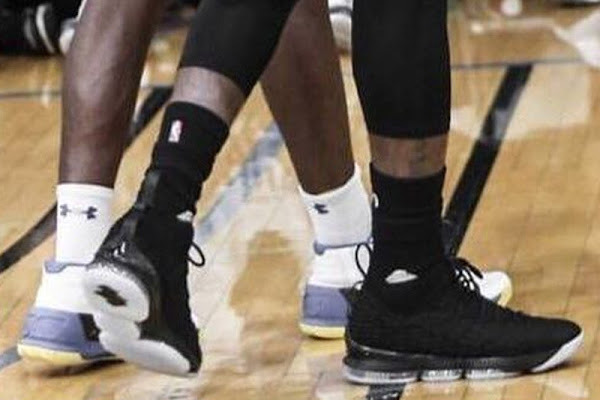 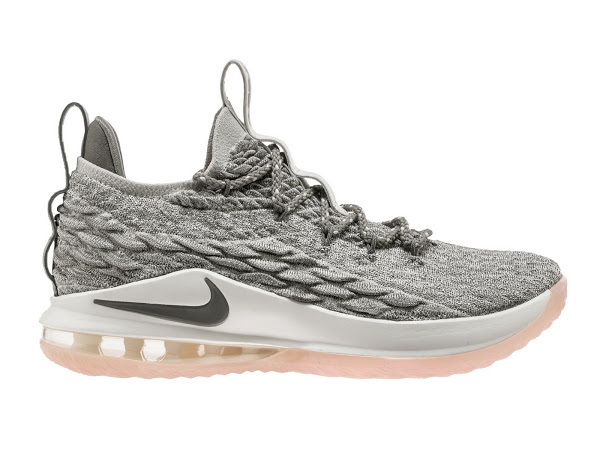 It looks similar to what LeBron James wore in a pickup game last month at UCLA with a flyknit upper construction and articulated Zoom Air units. 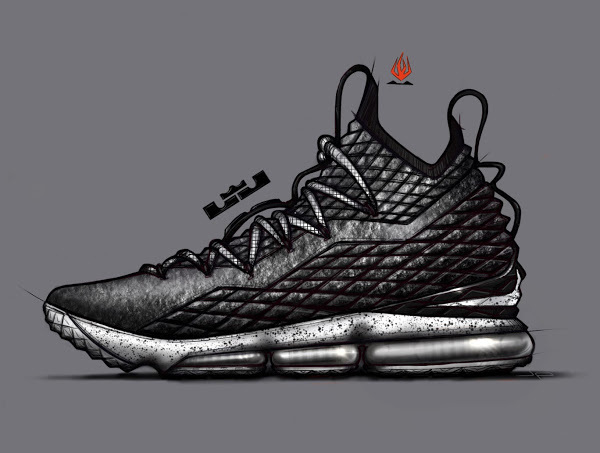 Actually the technology used in the shoe is called Battle Knit for the upper and Battle Max for the cushioning. 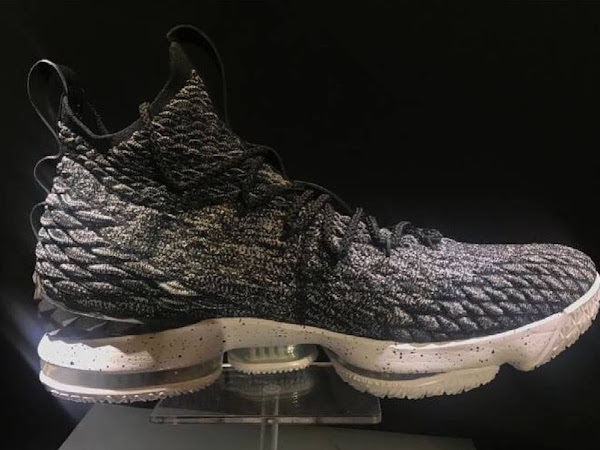 While we await the tech specification for these new treats check out the close ups featuring the lateral and medial side below.